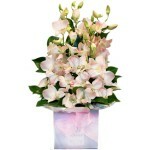 SKU: RF026. 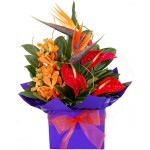 Category: Anniversary, Autumn, Birthday, Bouquets, Christmas, Congratulations, Corporate, Father's Day, For Her, For Him, Functions & Events, Get Well, Mother's Day, Thankyou, Tropical, Vases. 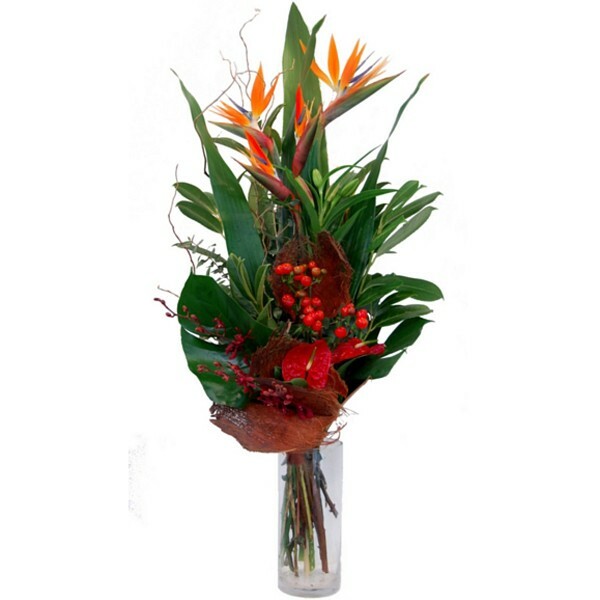 Lush and modern tropical flowers, foliage and textures, presented in a glass vase.